More specifically, how do you know that Artisan Cabinet Co. is the right company for you? Here are three reasons we believe make us stand out from the crowd. Contractors do not often have the greatest of reputations. And we get it. There are bad apples out there that do not have contractor numbers, who do care about service or quality. We will work hard to show you that we are not like that. We remain transparent about everything we do, why we do it, and what we charge. We keep ourselves open and available so we can answer your questions whenever they arise. We want you to see us as your partner in completing the home improvement project of your dreams. We don’t want to toot our own horn here. Instead, we encourage you hear about this yourself by reading our reviews on Angie’s List or calling us for contact information of our recent customers. We are just beginning to ramp up our scheduling for fall and winter remodeling projects. And unlike many companies in the area, we refuse to create wait lists that are several months long. So if you’re ready to get started on your Minneapolis home remodel, turn to our team. We work with homeowners in Minneapolis and much of the West Metro, including Chaska and Chanhassen. Learn more by calling us today at 952-737-7088 or get in touch with us by email. 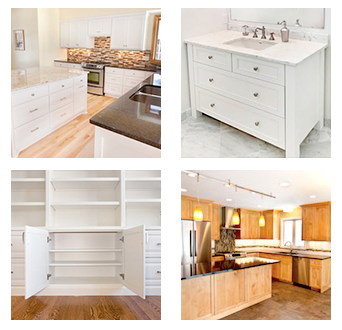 We look forward to meeting with you and helping you bring your custom cabinetry vision to life.